2017 EU deluxe issue on 45rpm 2LP -The New album of Ed Sheeran with 4 rare BONUS tracks and a download code. New 2017 album from the unstoppable Suffolk songsmith! Part-produced by Benny Blanco. 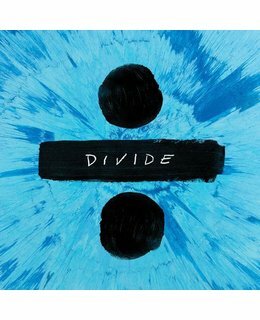 Includes "Shape Of You" and "Castle On The Hill". C2 What Do I Know? 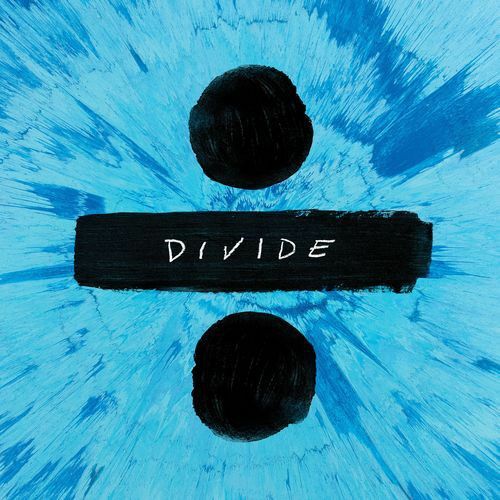 "Ed Sheeran - Divide" - One of the most anticipated global releases of 2017, "÷" sees the 25-year-old in his finest form yet. Drawing inspiration from a wide array of experiences and subjects, Sheeran takes you through a hugely personal journey; be that reflecting on past relationships, family memories, his musical career or his time off travelling the world in 2016. Musically, "÷" is a varied collection of beautifully orchestrated and emotive ballads, impassioned raps laid over hip hop beats, timeless acoustic guitar masterpieces, and innovative, idiosyncratic pop music. Constantly on the move, the album was recorded between LA, London, Suffolk and while crossing the Atlantic aboard the RMS Queen Mary 2. Executive produced by multi-GRAMMY winner Benny Blanco and Sheeran himself with additional production coming from frequent collaborator Johnny McDaid, GRAMMY winner Mike Elizondo, and BRIT-award winner Steve Mac. 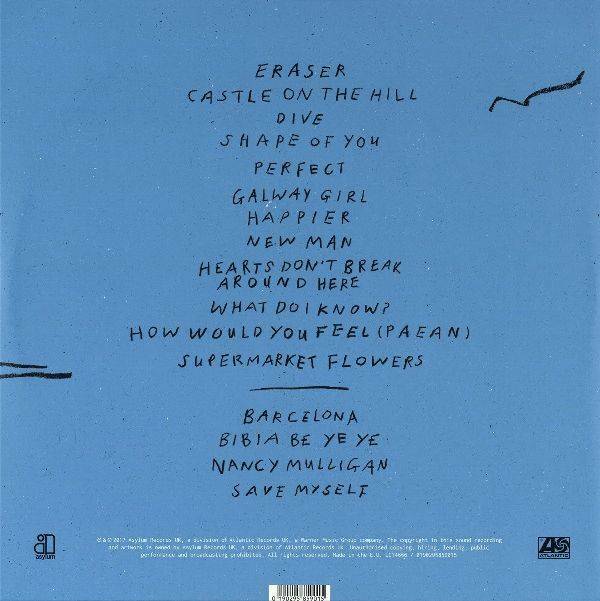 Sheeran also created the album artwork concept for "÷" , even painting the cover himself.